Chipotle's latest food-borne illness outbreak was by and large the biggest in its history, with more than 600 people claiming they fell ill after dining at a lone outpost in Powell, Ohio earlier this month. The chain's latest brush with food poisoning and its newest PR headache garnered headlines and alarm because the cause of the outbreak was initially a mystery. But after testing stool samples from a number of infected customers, the Centers for Disease Control & Prevention (CDC) finally returned on Thursday with conclusive results that point the finger at a culprit: clostridium perfringens, a bacteria that flourishes when food is left at an unsafe temperature. According to the Delaware General Health District, food samples tested for the same pathogen turned out negative, but the stool samples betrayed the C. perfringens bacteria, which can grow in the intestinal tract after consuming tainted food. Ironically, it's one of the most common forms of food poisoning, refuting the "mystery" cause that elicited such a stir when the outbreak first struck. Chipotle, which temporarily closed and sanitized the affected restaurant after news of the outbreak emerged, confirmed the outbreak in a statement attributed to CEO Brian Niccol. The Denver-based chain has struggled immensely to lure customers back into its restaurants after a string of highly-publicized food-borne illness outbreaks in 2015 and 2016 tarnished its reputation. 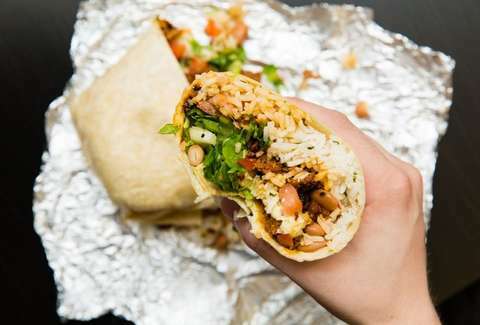 Even with a slew of enticing new menu offerings, it remains to be seen whether Chipotle will ever wake up from its recurring nightmare.